Not a single marine mammal has gone extinct in U.S. waters since the Marine Mammal Protection Act was enacted 45 years ago. But that could change if Congress guts this bedrock conservation bill. Speak out today to protect whales and dolphins! Dear Representative: The House Natural Resources Committee is marking up legislation that would overhaul federal offshore energy policy. When it moves to the floor, I urge you to vote no on H.R. 4239, the “SECURE American Energy Act”, which fully incorporates the text of H.R. 3133, the “Streamlining Environmental Approvals Act” of 2017. Both are dangerous bills that would strip the landmark Marine Mammal Protection Act of core provisions protecting whales, dolphins, seals, manatees, and other marine mammals from harm. The Marine Mammal Protect Act was enacted 45 years ago and since then, it has protected all marine mammals in U.S. waters. And it’s working -- many marine mammals are recovering and no marine mammal has gone extinct in U.S. waters. 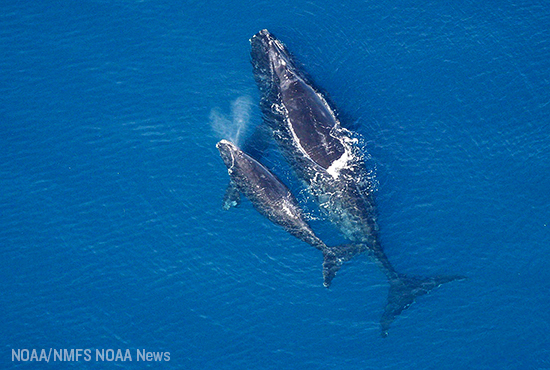 Yet these bills would effectively gut the act, repealing marine mammal protections in order to promote harmful oil and gas exploration in the Atlantic and Arctic. On the 45th anniversary of the Marine Mammal Protection Act, our work to protect marine mammals is far from finished. Many iconic marine mammals are still threatened with extinction. We must have a robust Marine Mammal Protection Act to recover these important species and to prevent the endangerment of others. Defending marine mammals and the legislation that protects them is important to your constituents: 76 percent of Americans support protecting marine mammals from threats, including injury and death resulting from offshore oil and gas drilling, and 73 percent of Americans support the Marine Mammal Protection Act. For these reasons, I urge you to oppose H.R. 4239, H.R. 3133, and any other legislation that would undermine the Marine Mammal Protection Act’s protections for marine mammals. Thank you.